-- At very high speeds, a rear spoiler prevents airflow separation, decreases drag and improves fuel economy. -- You'll probably never drive fast enough to realize a spoiler's functional benefits, but you can always enjoy the image of speed it brings to your car's appearance. 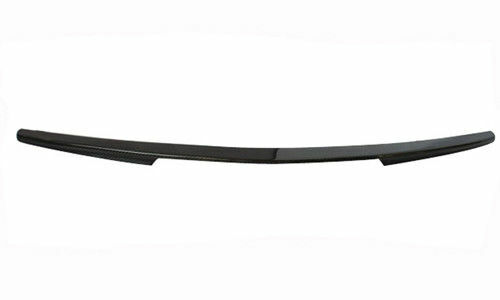 -- This Style Rear Lip Spoiler will give the back of your car a subtle race car look, without looking like an add-on afterthought. -- All necessary mounting hardware and comprehensive instructions are included. We manufacture high quality auto accessories including front grilles, headlight cover, door handles, mirror covers and more. Our company was founded in 2008 and today uses their extensive experience to develop exterior and interior trim products that feature unique designs and precision fit. All our products are crafted from tough 304-gauge Stainless Steel, automotive-grade ABS plastic and Carbon Fibre. Their sophisticated chrome plating process ensures that your trim parts will look great on your vehicle today.